International documentary maker Greg Appel is well known in Australia as a producer and director of social history documentaries. He produced the ground breaking series "Long Way to the Top" about Australian Rock music that recently re-screened for the third time on ABC TV. The team behind this program has continued with the same formula combining music and humour - to create many other successful documentaries on subjects as diverse as car culture, surfing and telecommunications. In 2019 Greg is working on a half hour documentary Wentworth Street Port Kembla based on Spontaneous Films first documentary King Street, Newtown (ABC TV 1995) as well as directing Fitzroy Jive a documentary about African music in Melbourne. In 2018 he filmed and edited a 7 part online series for Word Travels about the NSW regional slam poetry heats. Greg is also an experienced radio producer and presenter. In 2018 he made a half hour program and podcast for ABC Radio National about Flight Attendants Cabin Crew prepare for landing! This followed another ABC podcast in 2017 about the legendary Sydney figure Trough Man and the wild warehouse party scene back in the 1980's and 90's. He was also story producer on a feature length documentary about the Australian band Midnight Oil being made for Blink TV, with a team that has worked on archival documentaries over the past two decades. In 2016 he filmed and edited a series of five short films for the Murruwaygu Exhibtion at the Art Gallery of NSW with Jonathan Jones. In 2016 he made My Sperm keeps knocking at my door and Suburban Psychic (2015) for ABC Radio National. In 2016 he filmed and edited a series of films with for Buried Country live in Concert about Aboriginal Country music history. In 2008 he directed Bossa Nova, the Sound that Seduced the World which premiered at the Sydney Film Festival and was broadcast on ABC 1 and 2. In 2009 he co-directed Bombora - The Story of Australian Surfing for ABC 1 and Screen Australia. 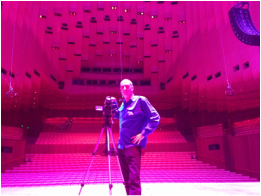 He recently worked on a documentary about the Alberts music Label and AC/DC for ABC TV with Paul Clarke (Bombora). This partnership that has produced many well known documentary series including and 'Long Way to the Top - Stories of Australian Rock' ABC TV 2001 Wide Open Road a series about Australian car culture for ABC TV , 'Bombora - The Story of Australian Surfing' ABC TV 2009. He continues to with Bombora FIlms and The Monkeys on a number of other documentary projects. Greg’s broad skill base means that he can move from directing a large team to taking a project from start to finish as an individual videographer. In 2014 he filmed and edited Yirrkala Drawings a series of 10 short films for the Art Gallery of NSW. He also recorded and produced a feature length radio documentary for ABC Radio National on Artificial Intelligence. He also has an active interest in musical theatre. In 2010 Greg wrote and directed a live musical Van Park starring John Paul Young and Steve Kilbey. Amongst other projects, Greg is currently working on a documentary about the musical history of Paris as well as a musical about the city Excuse the French! He was also a panellist at Presenting the Past: A Symposium on History and the Media, September 2013 NSW State Library. In November 2014 he organised a an ambitious but successful event at St Stephen’s Church in Newtown, during the Newtown Festival. 'The Meaning of Life', featured short talks by a Christian, Atheist and Buddhist together with music and comedy. Greg has enjoyed an extremely diverse career including - Series Producer for Dig TV (a music based program for ABC 2), and as a Radio National Freelance Producer. He has also produced Youth TV, Comedy and as part of a partnership with Paul Clarke he is a Tropfest finalist. As a guitarist/songwriter for The Lighthouse Keepers in the mid Eighties – his interest in music has often influenced his work.